Nearest Landmark Kokkola Tourism Ltd.
A stay at Finlandia Hotel Seurahuone places you in the heart of Kokkola, a 2-minute drive from Kieppi - Kokkola Museum of Natural History and 6 minutes from Kaarlela Church. Featured amenities include complimentary newspapers in the lobby, luggage storage, and an elevator (lift). Planning an event in Kokkola? This hotel has 2077 square feet (193 square meters) of space consisting of conference space and meeting rooms. Free self parking is available onsite. 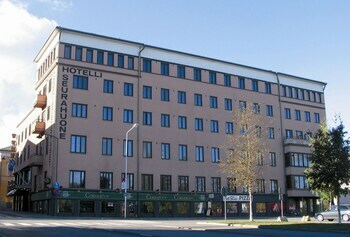 Tampere Downtown Apartments offers accommodations throughout the area in Tampere. Limited parking is available onsite.